Leah Goldin, mother of Hadar Goldin, says aid to Gaza should be conditioned on Hamas returning her son and IDF soldier Oron Shaul. 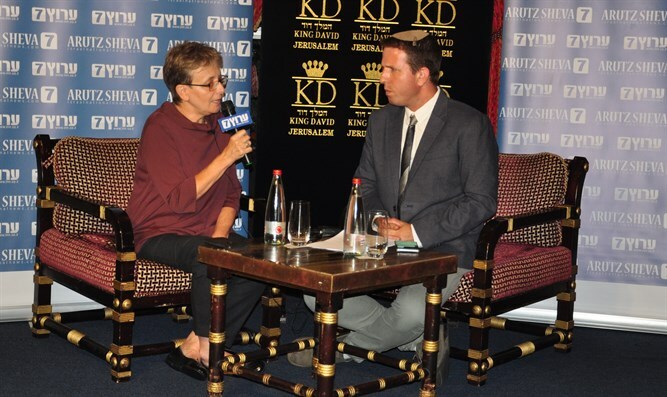 Leah Goldin, mother of slain IDF soldier Hadar Goldin whose body is being held by Hamas in Gaza, spoke on Monday at the Arutz Sheva conference in Jerusalem. “Israel is the only state in the world that feeds its enemies during wartime, providing them with food, water and medicine,” said Goldin. Goldin further noted that Canadian Professor Irwin Cotler, formerly Canada’s Justice Minister, presented proof that Hadar’s case is a violation of international humanitarian law, not just by Hamas but by the Palestinian Authority as well. Of greater importance is how President Donald Trump can assist, said Goldin.